Death-Notice* 10 Mar 1943 WALKER.-On March 8 (result of accident), L.A.C. Roy Cameron, dearly loved only son of Mr. and Mrs. Charles R. Walker, Fassifern, Upper Beaconsfield, and Essendon, and loved brother of Nancy (Mrs. Barraclough) and Audrey (Mrs. Ridgway). 8 Mar 1944, IN MEMORIAM. Roll of Honour-On Active Service WALKER.-In loving memory of Roy Cameron Walker L.A.C., R.A.A.F., who died on March 8, 1943 (aircraft accident), beloved only son of Mr. and Mrs. C. R. Walker, Fassifern, Beaconsfield Upper, and loved brother of Nancy and Audrey. 8 Mar 1945, IN MEMORIAM. WALKER.-In proud and loving memory of Roy Cameron (R.A.A.F. ), killed in aircraft accident. March 8, 1943, dearly loved only son of Mr. and Mrs. C. R. Walker, Fassifern, Beaconsfield Upper, and Essendon. [S4] Registry of Births Deaths and Marriages Great War Index Victoria 1914-1920 "#B30795." Roll of Honour BEACONSFIELD UPPER. [S14] Newspaper - The Canberra Times 19 Mar 1943, p3. [S11] Newspaper - Argus 10 Mar 1943, p2. [S15] Newspaper - Village Bell "Issue 136 - Oct 2000, p4." [S11] Newspaper - Argus 8 Mar 1944 p12. [S11] Newspaper - Argus 8 March 1945 p2. [S11] Newspaper - Argus 8 Mar 1947 p20. [S35] Probate Records, PROV (Public Records Office Victoria), VPRS 28/P17, unit 188; VPRS 7591/P13, unit 38. [S4] Registry of Births Deaths and Marriages Great War Index Victoria 1914-1920 "#B25085 [par Marcus RIDGWAY & Mabel ASHER]." Age 69; Date of Birth 2/08/1916. [S11] Newspaper - Argus 5 Nov 1940, p6. [S353] Beaconhills Country Golf Club, Beaconhills Minute Books, Committee Meeting 26 May 1948 on nomination of F B Shepherd. [S22] Victorian Government. BDM Index Victoria (online) "#D13989 birthplace Surrey Hills." [S11] Newspaper - Argus 13 Jul 1940 p7. Death-Notice* 6 Apr 1897 ADAMS.—On the 5th April, at his late residence, Dundrennan, Upper Beaconsfield, Thomas Maitland Adams formerly of the Crown Office, Edinburgh and last surviving son of the late John Adams, Esq., S.S.C., and secretary to the late Lord Cockburn, aged 61. At rest. The friends of the late THOMAS MAITLAND ADAMS, Upper Beaconsfield, are respectfully invited to follow his remains to the place of interment, the Berwick General Cemetery. [S2] Registry of Births Deaths and Marriages Federation Index Victoria 1889-1901 "#D4022 age 60 [par John ADAMS & Alison CHRISTISON]." [S50] Miscellaneous Source, From Wikipedia, the free encyclopedia. [S5] Registry of Births Deaths and Marriages Death Index Victoria 1921-1985 "#4141 age 88 [par BEGBIE Adams & Unknown]." [S187] Familysearch "M11692-1 (as T M Adams)." 16/49 THOMAS MAITLAND ADAMS PAKENHAM 129 19--3--38. 1877 - 1880. [S185] Property Titles. ; PROV (Public Records Office Victoria), C/T 1205-992 - Thomas Maitland Adams of Beaconsfield Selector. [S185] Property Titles. ; PROV (Public Records Office Victoria), C/T 1205-992 - The Universal Permanent Building and Investment Society - C/T 1290-959. [S11] Newspaper - Argus 6 April 1897, p1. WALLACE Ann F 15 Female Servant Outside Census County (1841). CHRISTISON George Visitr M M 28 Commercial Traveller (Wine) East Lothian - Innerwick. [S83] Online index to the UK census "Parish: Duddingston; ED: 7; Page: 26; Line: 25; Roll: CSSCT1861_123." 5-179-B Adams Agnes F 88 24/04/1930. [S31] IGI "LDS member submitted." [S187] Familysearch "gives birth date as 26 Oct 1826." [S81] Land Records, Parish Maps & Council Rate Books. ; PROV (Public Records Office Victoria), VPRS 5357/P0000/3886 15/49 WILLIAM ADAMS PAKENHAM 125 18--3--13. 1876 - 1882. [S185] Property Titles. ; PROV (Public Records Office Victoria), C/T 1315-984 - William Adams of Beaconsfield Contractor. [S185] Property Titles. ; PROV (Public Records Office Victoria), C/T 1315-984 William Adams to The Universal Permanent Building and Investment Society - C/T 1335-832. [S81] Land Records, Parish Maps & Council Rate Books. ; PROV (Public Records Office Victoria), Land File 12004/19.20. [S185] Property Titles. ; PROV (Public Records Office Victoria), C/T 3037-391 - William Adams of Beaconsfield Contractor. [S81] Land Records, Parish Maps & Council Rate Books. ; PROV (Public Records Office Victoria), Land File 1811/49. [S185] Property Titles. ; PROV (Public Records Office Victoria), C/T 3037-391 - Mortgage No 109809 - discharged 3 Oct 1908. [S14] Newspaper - Leader (Melbourne), 10 Oct 1891, p43. [S185] Property Titles. ; PROV (Public Records Office Victoria), C/T 3039-747 - transfer by mortgagee to Browne on 3 Oct 1908. [S11] Newspaper - Argus 11 Jul 1884, p6. [S12] Newspaper - South Bourke and Mornington Journal 16 Jul 1884, p2. [S11] Newspaper - Argus 25 Nov 1886, p8. [S185] Property Titles. ; PROV (Public Records Office Victoria), C/T 881-116 - Agnes Adams the wife of Thomas Maitland Adams of Beaconsfield Contractor - C/T 1837-227. [S185] Property Titles. ; PROV (Public Records Office Victoria), C/T 1837-227 - Mortgage No 74312 - James Brown Russell - discharged 8 Jan 1887. [S185] Property Titles. ; PROV (Public Records Office Victoria), C/T 1837-227 - Mortgage No 74313 - James Brown Russell - discharged 8 Jan 1887. [S185] Property Titles. ; PROV (Public Records Office Victoria), C/T 1837-227 - Mortgage No 78632 - John Mitchell Purves - discharged 17 Jan 1910. A caveat No 25812 was lodged affecting mortgage on 25 Jul 1892 - lapsed 17 Jan 1910. [S185] Property Titles. ; PROV (Public Records Office Victoria), C/T 1837-227 - In consequence of the duplicate Certificate of Title having as is alleged been lost a Special Certificate of Title to the within land was issued on the 16th November 1892 Vide RI No 697050. [S185] Property Titles. ; PROV (Public Records Office Victoria), C/T 1837-227 - Mortgage No 279079 - Arthur Stewart Woolcott and John Drysdale - discharged 20 May 1913. [S185] Property Titles. ; PROV (Public Records Office Victoria), C/T 1837-227 - Mortgage No 338195 - Henrietta Sophia Kempson - discharged 30 Nov 1936. [S11] Newspaper - Argus 6 May 1930, p14. [S35] Probate Records, PROV (Public Records Office Victoria), VPRS 28/P3, unit 2113; VPRS 7591/P2, unit 826. [S11] Newspaper - Argus 16 Jul 1930, p17. [S185] Property Titles. ; PROV (Public Records Office Victoria), C/T 1837-227 - Agnes Adams died on 3rd May 1930. Probate of her will has been granted to Alice Barbara Renfree of Beaconsfiled Upper Widow. [S185] Property Titles. ; PROV (Public Records Office Victoria), C/T 1837-227 - Robert Harold Prentice of 17 High Street Prahran Military Pensioner - C/T 6818-438. [S83] Online index to the UK census "Parish: Edinburgh St Cuthberts; ED: John Watsons Institution; Page: 7; Line: 10; Roll: CSSCT1851_184; Year: 1851." [S83] Online index to the UK census "mother Barbara BEGBIE, 40 years old, at 1 Regent Street Portobello, Midlothian. With Mary BEGBIE age 15 (Scholar) and George BEGBIE age 12 (Apprentice Railway Officer)." BEGBIE JAMES 25/12/1851 RESIDING AT PARKEND HADDINGTON SHERIFF COURT SC40/40/8. [S83] Online index to the UK census "Parish: Duddingston; ED: 4; Page: 3; Line: 2; Roll: CSSCT1861_123. mother was born at Berwick, Berwickshire Age 52 (c1809)." [S1] Registry of Births Deaths and Marriages Pioneer Index Victoria 1836-1888 "viewed certificate at Emerald Museum." 3 Mar 1894, THIS DAY. At Half-past Three O'Clock. At Kirwin's Produce Store Opposite Railway Station, Beaconsfield, 20-acre ALLOTMENT on which are erected Two W.B. Houses, now occupied by Mr. W H Dale. By Order of the Mortgagee. [S35] Probate Records, PROV (Public Records Office Victoria), VPRS 28/P3, unit 82; VPRS 7591/P2, unit 439. [S35] Probate Records, PROV (Public Records Office Victoria), mentioned in his will. [S65] Ancestry - various indices, The National Archives; Kew, England; General Register Office: Registers of Births, Marriages and Deaths surrendered to the Non-parochial Registers Commissions of 1837 and 1857; Class: RG 4; Piece 2692: Manchester, St George Road, Oxford Street (Baptist), 1777-1836. [S3] Registry of Births Deaths and Marriages Edwardian Index Victoria 1902-1913 "#D11004 age 74 [par William DALE & Charlotte ASTON]." [S3] Registry of Births Deaths and Marriages Edwardian Index Victoria 1902-1913 "#D15049 age 75 [par William BARRY & Unknown]." [S9] Free BMD. Index. Online @ https://www.freebmd.org.uk/ "Sep Q [Manchester] 8d 564." [S36] Inward & outward passenger lists to and from Victoria. Series: VPRS 14; 7666; 7667; 7786); PROV (Public Records Office Victoria), N062 002. 1476/49 WILLIAM HENRY DALE WILIAM BUCK BEACONSFIELD 14D 20--0--0. 1887 - 1884. [S185] Property Titles. ; PROV (Public Records Office Victoria), C/T 1601-030 - William Henry Dale of Beaconsfield Carpenter. [S185] Property Titles. ; PROV (Public Records Office Victoria), C/T 1601-030 - William Henry Dale to Universal Permanent Building and Investment Society - C/T 1604-772. [S25] School Records - Beaconsfield North 2560: father/guardian William Dale, carpenter - no previous school. [S185] Property Titles. ; PROV (Public Records Office Victoria), C/T 1604-772 - William Henry Dale of Beaconsfield in the County of Mornington Carpenter. [S185] Property Titles. ; PROV (Public Records Office Victoria), C/T 1604-772 - William Henry Dale to Louis Francis Smith. [S25] School Records - Beaconsfield North 2560: guardian William Dale, carpenter, no previous schooling. [S25] School Records - Beaconsfield North 2560: father/guardian William Dale, carpenter - previous school Horsfalls Collingwood. [S81] Land Records, Parish Maps & Council Rate Books. ; PROV (Public Records Office Victoria), Land File 12503/19.20. [S185] Property Titles. ; PROV (Public Records Office Victoria), C/T 2351-108 - William Henry Dale of North Beaconsfield Carpenter. [S66] Berwick Shire Rates, 1870-1965 at some point in the rate book GEM-D-55 is changed to GEM-C-55, and the council believes it belongs to TVO - this is not correct. [S66] Berwick Shire Rates, 1870-1965 may have originally been in the name of his son Frederick (to 1892/93). Listed in rate book through to 1941/42, then written off. [S185] Property Titles. ; PROV (Public Records Office Victoria), C/T 2351-108 - Dale takes out a mortgage from Emma Annie Maria Craik - discharged 2 Jun 1893, when ownership is transferred to her. [S185] Property Titles. ; PROV (Public Records Office Victoria), C/T 2351-108 - William Henry Dale to Emma Annie Maria Craik of Upper Beaconsfield Married Woman. [S185] Property Titles. ; PROV (Public Records Office Victoria), C/T 1604-772 - William Henry Dale to Louis Francis Smith - mortgage foreclosed. [S185] Property Titles. ; PROV (Public Records Office Victoria), C/T 2080-806 - The Commercial Bank to William Henry Dale of Upper Beaconsfield Builder - C/T 2583-455. [S185] Property Titles. ; PROV (Public Records Office Victoria), C/T 2583-455 - William Henry Dale to James Dale Atchison of Bourke Street Melbourne Leather Merchant. [S3] Registry of Births Deaths and Marriages Edwardian Index Victoria 1902-1913 "[reg Beaconsfield]." [S11] Newspaper - Argus 3 Jan 1908 p1. [S65] Ancestry - various indices, Class: HO107; Piece: 579; Book: 12; Civil Parish: Manchester; County: Lancashire; Enumeration District: 8; Page: 8; Line: 24; GSU roll: 438731. [S65] Ancestry - various indices, Class: HO107; Piece: 2232; Folio: 256; Page: 13. 4-208-B Dale Margaret R.F 72 17/11/1908. [S12] Newspaper - South Bourke and Mornington Journal South Bourke and Mornington Journal (Richmond, Vic. : 1877 - 1920; 1926 - 1927), Wed 28 Sep 1887, p2. [S11] Newspaper - Argus 3 Mar 1894, p2, also advertised 1 Mar 1894, p2. [S12] Newspaper - South Bourke and Mornington Journal 7 Mar 1894, p2 by Todea Africana. [S65] Ancestry - various indices, Margaret Ruth Parry Lancashire, England, Church of England Births and Baptisms, 1813-1911. [S36] Inward & outward passenger lists to and from Victoria. Series: VPRS 14; 7666; 7667; 7786); PROV (Public Records Office Victoria), B254 002. [S3] Registry of Births Deaths and Marriages Edwardian Index Victoria 1902-1913 "father as BARRY." [S65] Ancestry - various indices, 1861 census: Class: RG 9; Piece: 2866; Folio: 100; Page: 20; GSU roll: 543041. [S1] Registry of Births Deaths and Marriages Pioneer Index Victoria 1836-1888 "#B22786." [S185] Property Titles. ; PROV (Public Records Office Victoria), C/T 1889-602 Frederick William Henry Dale of "Kelvin" Fitzroy Street St Kilda Carpenter. [S1] Registry of Births Deaths and Marriages Pioneer Index Victoria 1836-1888 "#D9792 age 31." [S9] Free BMD. Index. Online @ https://www.freebmd.org.uk/ "Sep Q [Manchester] 8d 302." [S185] Property Titles. ; PROV (Public Records Office Victoria), C/T 1300-806 - James Roberts of Emerald Hill. [S22] Victorian Government. BDM Index Victoria (online) "wife listed as Mary Ann MORRON." Death-Notice* 7 May 1942 HARRIS. 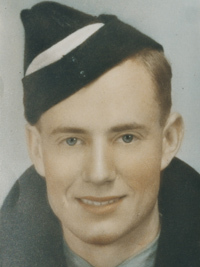 On May 5 at his home Edgevale, Beaconsfield Upper, Solomon, beloved husband of the late Rosetta Harris and loved father of Isa (Mrs Robb) Louie, Memie (Mrs Preston), Ethel (Mrs G. Tivendale), Claud and Dot (Mrs W Tivendale) aged 87 years. Father and mother reunited. [S80] Ancestry - Family Tree, Veal and Harris Family Tree - Owner: kgfveal. [S1] Registry of Births Deaths and Marriages Pioneer Index Victoria 1836-1888 "#M2691." [S5] Registry of Births Deaths and Marriages Death Index Victoria 1921-1985 "#D18319 age 85 [par George SPARKES & Ann HAYES]." [S5] Registry of Births Deaths and Marriages Death Index Victoria 1921-1985 "#D24687 age 87 [par John HARRIS & Amelia SEANG] [reg Berwick]." [S11] Newspaper - Argus 7 May 1942 p2. 1-069-B Harris Ellen Francis F 71 11/10/1974 1694. [S12] Newspaper - South Bourke and Mornington Journal 23 May 1912, p2. Death-Notice* 16 Dec 1939 HARRIS.-On the 15th December, at her residence. Edgevale, Beaconsfield Upper, Rosetta, beloved wife of Solomon Harris, and loving mother of Isa, Louie, Marion, Ethel, Dot, Claud, aged 85 years. HARRIS - The Friends of Mr. SOLOMON HARRIS are respectfully informed that the remains of his late beloved wife, Rosetta, will be interred In the Berwick Cemetery. The funeral will leave his residence, Edgevale, Beaconsfield Upper, THIS DAY (Saturday, 16th December), at 3.30. [S35] Probate Records, PROV (Public Records Office Victoria), VPRS 28/P3, unit 3333; VPRS 7591/P2, unit 1098. [S185] Property Titles. ; PROV (Public Records Office Victoria), C/T 2170-836 - Rosetta Harris wife of Solomon Harris of Upper Beaconsfield Farmer. [S185] Property Titles. ; PROV (Public Records Office Victoria), C/T 2170-836 - Mortgage No 281452 - discharged 28 Apr 1913. [S185] Property Titles. ; PROV (Public Records Office Victoria), C/T 2170-836 - Mortgage No 318941 - discharged 31 Mar 1920. [S185] Property Titles. ; PROV (Public Records Office Victoria), C/T 2170-836 - Claud Alfred Harris of "Edgevale" Upper Beaconsfield Cartage Contractor - C/T 4527-337. [S11] Newspaper - Argus 16 Dec 1939 p4 & 9. [S185] Property Titles. ; PROV (Public Records Office Victoria), C/T 2170-836 - Rosetta Harris died on 15 December 1939. Letters of Administration with will annexed of her estate have been granted to Claud Alfred Harris of Upper Beaconsfield Contractor. [S185] Property Titles. ; PROV (Public Records Office Victoria), C/T 2170-836 - Isa Frances Robb of 580 Old South Head Road Bondi Juncion New South Wales Married Woman Lucy Annie Harris Spinster and Ethel Georgeann Tivendale and Rosetta Amelia May Tivendale Married Women all of Officer Marion Eva Preston of 6 Ann Street Morwell Married Woman and Claud Alfred Harris of Upper Beaconsfield Contractor are now proprietors as tenants-in-common in equal shares - C/T 6646-108. Had Foott Road named after him. Death-Notice* 29 Jun 1942 FOOTT. -On June 27 (suddenly), at Lytton, Upper Beaconsfield, Brig. General Cecil Henry, C.B., C.M.G., father of Celia (Mrs Taylor), Allan (Lieut.-Colonel Australian Staff Corps) and Sydney. FOOTT -On June 27 (suddenly) at Lytton, Upper Beaconsfield, Brig. General Cecil Henry, C.B., C.M.G., son of the late Thomas Wade and Mary Hannay Foott. FOOTT. A Service for the late Brigadier General C. H. FOOTT, C.B., C.M.G., will be conducted at Christ Church of England, Berwick, by the Rev E Panelli, THIS DAY at 10 am. and the funeral will leave at the conclusion for the Berwick Cemetery. 4 Dec 1926, MAKING OF MEN. THE BOYS' BRIGADE. GENERAL FOOTT'S TRIBUTE. "Fellows physically fit were also mentally fit, for no fool would be a gymnast," said, Brigadier-General C. H. Foott, after inspecting the 1st Brisbane Company of the Boys' Brigade in their hall at Enoggera-terrace last night. The occasion was the 14th annual inspection of the company, which is under the command of Captain G. Orr, aided by Lieutenants R. Tait, L. Milliner, C. Leaver, J. Wilkie, E. Milliner, F. Cherry, and Staff-Sergeant G. Horsburgh. The company gave the general salute, performed rifle exercises and drill, and physical drill with arms, and gave ambulance, signalling, and vaulting horse displays, winding up with a march round led by its bugle band. After which the prizes won during the year were presented by Mrs. Hubert Robertson. Brigadier-General Foott opened his re marks by saying that he had a confession to make. He had arrived very tiled and expecting to be bored, but he had been interested every moment he had been there. - He had worn the Queen's and King's uniform for over 38 years, and he had been very much struck with the discipline he had seen that night, and was proud to sec the excellent physical training of the boys. He hoped that next year their commanding officer would let him know in time, so that he could put the Victoria Barracks drill ground at their disposal. There they would have more room to manoeuvre and more room for visitors. The Mayor of Brisbane (Alderman W. A. Jolly) said that he had supposed that he had discovered all the worth-while institutions in Brisbane since he had been in office, but the Boys' Brigade was a "new one on him." There was nothing wrong with Australia while they could produce such boys. When he arrived he thought his old friend, Mr. Tait, had got an army together "to defend the hills of Ithaca, Captain Orr was tendering a very special service to the community. He was engaged in the greatest of all work—that of making men. 1 Jul 1931, BASE COMMANDANT Brigardier-General Foott Retires. In accordance with a decision reached only within the last few days, Brigadier-General C. H. Foott, base commandant of the 3rd Military District and commander of the 4th Division, retired yesterday, after 42 years' service with the Australian military forces. The announcement was a surprise to many. Though not entirely unconnected with the retrenchments now being made in the defence services. General Foott's retirement was voluntary. He explained yesterday that, in view of the fact that he was within a few years of the retiring age, and that he was in a position to retire now, he had elected to do so, as it was evident that he would thus be helping in the economy plans. In relinquishing command of the 3rd District Base and 4th Division, after having held them for 18 months and 12 months respectively, I desire to thank all the officers, warrant, and non-commissioned officers, and men of the military forces, and the civilian staffs of those formations for very loyal and unselfish service. The period through which we have just passed has called for great energy and sacrifice on the part of every member of the military forces. That you have answered the call so well is shown by the healthy and vigourous condition of the forces I feel sure that the future, whatever it may bring forth, will show a continuance of those fine qualities by the exercise of which you have made the force what it is. I only wish that the extent and nature of the work you do, the time and energy you spend in and on the military forces, were better known and better appreciated by all the people. Again, I thank you for your assistance and I wish you all the best of fortune. Of the 42 years spent by Brigadier-general Foott in the service 39 were spent in the militia and permanent forces. He enlisted in the Brisbane volunteer engineeers, as a sapper, and in 1892 he joined the permanent forces. He holds the distinction of having passed the examination for captaincy in both engineers and artillery under British regulations. During the Great War he gave distinguished service on Gallipolli, in Egypt and France, for which he was six times mentioned in despatches. He was promoted from major to lieutenant-colonel at Anzac, and in March, 1917, he went to France as chief engineer of the Australian Corps with the rank of Brigadier-general. After the armistice he was appointed deputy director-general of repatriation and demobilisation, and he was honoured with a C.M.G. After his return to Australia he held a number of important posts, including that of base commandant in Queensland. in December, 1929, he was appointed base commandant in Victoria, and on August 1, 1930, commander of the 4th Division. Brig-Gen Cecil Henry Foott, CB, CMG, died on Saturday at his home at Upper Beaconsfield. He was 66, and had served for 42 years with the Australian Military Forces, 39 of them as a member of the permanent forces. When he retired on June 30, 1931, he was Base Commandant of the 3rd (Victoria) Military District and commander of tile 4th Division. In September, 1940, he was co-opted by Army Headquarters, given command of the VDC. He retired from this position this year. 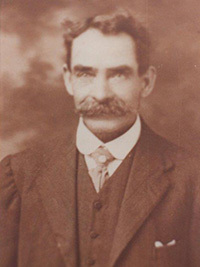 Born at Bourke, NSW, on January 16, 1876, he was a son of the late Mr T. W. Foott, or Dundoo Station, Q. His mother was the late Mrs Mary Hannay Foott, a well-known poet and author. Brig-Gen Foott joined the Queensland Permanent Artillery as a lieutenant, and in 1901 was posted to the Royal Australian Engineers. At the Staff College, Camberley, England, he underwent a course of instruction in 1912-13 and passed with honours. He then went to Royal Naval College, Portsmouth, and was there when war broke out in 1914. He was appointed DAQMG of the 2nd London Division (Territorial Forces). In January, 1915, he joined Australian Divisional Headquarters in Egypt as major. He served at Gallipoli and was promoted lieut-colonel at Anzac In June, 1915. He was In France until the Armistice, and was then appointed deputy director-general of repatriation and demobilisation. Returning to Australia in 1919, he subsequently held a number of important military posts, and was ADC to the Governor-General from 1921 to 1924. In 1927 he was made an additional ADC to His Majesty the King. His decorations included the 1914/15 star; the British war medal; the Victory Medal: the Order of the While Eagle (Serbian) with swords. During his active service he was mentioned in despatches 6 times. He married in 1901 Miss Isabel Agnes, only daughter of Mr G. T. McDonald, of Rocklea, Q. He leaves one son, Capt T. H. B. Foott, and 2 daughters. FOOTT, CECIL HENRY (1876-1942), regular army officer, was born on 16 January 1876 at Bourke, New South Wales, son of Irish-born Thomas Wade Foott, stock inspector and station-owner, and his Scottish-born wife, Mary Hannay Foott, née Black, teacher, poet and journalist. After his father's death in 1884 he was educated at Toowoomba and Brisbane Grammar schools and later qualified as a mechanical engineer. Foott was commissioned second lieutenant in the Queensland Militia Garrison Artillery in March 1895 but joined the Queensland Permanent Artillery in September 1896 as a lieutenant. In March 1901 the military forces of the Australian States were transferred to Federal control and in July Foott was promoted captain in the Royal Australian Artillery; that year, on 15 October, he married Isobel Agnes McDonald at Moorooka, Queensland. In 1902 Foott transferred to the Royal Australian Engineers but remained in Queensland as staff officer, engineer services. He went to England for technical training in 1908 and on returning was staff officer and commander, R.A.E., in Victoria in 1909-10. Promoted major in August 1909, his next posting was to Army Headquarters, Melbourne, where in 1910-11 he was director of works and in 1911-12 director of engineers. He attended the staff college at Camberley, England, in 1912-13 and in 1914 was attached to the British Army in England for further training. In January 1915, in the rank of major, Foott joined Major General (Sir) William Bridges's 1st Division, Australian Imperial Force, as deputy adjutant and quartermaster general. After the Gallipoli landing Bridges was mortally wounded in May and in August Foott, who had been promoted lieutenant-colonel in June, was re-posted within the division as assistant adjutant and quartermaster general, an appointment he held for the next two years. 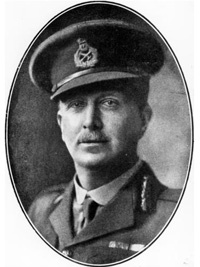 During this time the division withdrew from Gallipoli, reorganized in Egypt and then served on the Western Front, Foott was appointed C.M.G. and awarded the Serbian Order of the White Eagle (4th class) in 1916. He was transferred to A.I.F. depots in Britain as deputy adjutant and quartermaster general in July 1917, and in March 1918 was posted to Lieutenant-General Sir William Birdwood's Australian Corps in France as chief engineer. Although Foott was an engineer officer this was his first appointment as such during the war and he retained it after Lieutenant-General Sir John Monash took command of the Corps on 1 June. After the Armistice, when the A.I.F. 's Department of Repatriation and Demobilization was established in London, Foott became its deputy director general with Monash as director general. For his war service he was mentioned in dispatches seven times and in 1919 was appointed C.B. His only brother, Private Arthur Patrick Foott, was killed in action at Passchendaele. Foott returned to Australia in November 1919 after an eight-year absence and his A.I.F. appointment ended in February 1920. The post-war era which he faced as a regular officer in the Australian Military Forces was one of economy in defence, with few prospects of promotion. In October 1920, as a colonel and honorary brigadier general, he joined the newly formed Australian Staff Corps, then in 1922-25 served as a colonel in various posts at Army Headquarters in the quartermaster general's branch. In 1926 he was posted to Queensland where he was given, concurrently and temporarily, for the next four years three command appointments including that of base commandant, 1st Military District. By late 1929 the Depression had forced further cuts in military spending. In August 1930 Foott was transferred from Queensland to Victoria to be temporary commander of the 4th Australian Division as well as temporary commandant and base commandant of the 3rd Military District. In these circumstances, at the age of 55, he was transferred to the reserve of officers in July 1931; his army career ended then although it was not until February 1936 that he was officially placed on the retired list as an honorary brigadier general. [S5] Registry of Births Deaths and Marriages Death Index Victoria 1921-1985 "#D26975 age 66 [par Thomas Wade FOOTT & Mary Hannah BLACK]." [S11] Newspaper - Argus 20 Jan 1876, p1. [S8] Queensland Government Birth, Death & Marriage Indexes "#M C1889 / 1901." [S14] Newspaper - Brisbane Courier 25 Oct 1901, p4. [S8] Queensland Government Birth, Death & Marriage Indexes "#D B18 / 1927 [par George Thomas McDONALD & Amelia Margaret MITCHELL]." [S185] Property Titles. ; PROV (Public Records Office Victoria), C/T 5722-266 - Cecil Henry Foott - C/T 5744-751. [S185] Property Titles. ; PROV (Public Records Office Victoria), C/T 4236-152 - David John Davies Bevan Barrister at Law, Cecil Henry Foott Retired Military Officer, Claud Alfred Harris Contractor, Leslie William George Knapton Orchardist and Charles Roy Walker Merchant - C/T 5917-263. [S185] Property Titles. ; PROV (Public Records Office Victoria), C/T 5917-263 - King George VI. [S11] Newspaper - Argus 29 Jun 1942 p2. [S185] Property Titles. ; PROV (Public Records Office Victoria), C/T 5744-751 - Cecil Henry Foott died on 27th June 1942. Letters of Administration of his estate have been granted to Public Trustee. [S185] Property Titles. ; PROV (Public Records Office Victoria), C/T 5744-751 - Sidney Bertram Wills Cooke of 325 Mont Albert Road Mont Albert Chartered Accountant. Title Reference not correct in probate. 4-075-B Foott Brig.Gem. M 66 29/06/1942. [S14] Newspaper - Illustrated Australian News, 20 Feb 1884, p30. [S11] Newspaper - Argus 6 Feb 1884, p1. [S14] Newspaper - The Queenslander, 8 Nov 1911, p12. [S14] Newspaper - The Brisbane Courier, 4 Dec 1926, p6. [S11] Newspaper - Argus 1 Jul 1931, p6. [S11] Newspaper - Argus 17 Jan 1935 p5. [S11] Newspaper - Argus 29 Jun 1942 p3. C. E. W. Bean, The Story of Anzac (Syd, 1921, 1924), and The A.I.F. in France, 1916-18 (Syd, 1929, 1933, 1937, 1942); London Gazette, 5 Nov 1915, 3 June, 11 July 1916, 2 Jan, 15 Feb, 1 June, 28 Dec 1917, 31 Dec 1918, 1 Jan, 11 July 1919; Reveille (Sydney), July 1931; Sydney Morning Herald, 6 Nov 1915, 3 June 1916, 16 Feb 1917, 2 Apr 1920, 23 Dec 1925, 29 Nov 1929, 1 July 1931, 16 Sept 1940, 29 June 1942; Courier Mail (Brisbane), 1 July 1931; Argus (Melbourne), 29 June 1942; records and letters (Australian War Memorial); private information. Print Publication Details: Warren Perry, 'Foott, Cecil Henry (1876 - 1942)', Australian Dictionary of Biography, Volume 8, Melbourne University Press, 1981, pp 536-537. [S10] New Zealand Government Birth, Death & Marriage Indexes "#B7842 (NZ)." [S80] Ancestry - Family Tree, Wood Family Tree "jpwood120" - viewed Dec 2010. [S10] New Zealand Government Birth, Death & Marriage Indexes "#D17758 (Age 66)." [S65] Ancestry - various indices, New Zealand, Electoral Rolls, 1853-1981. [S1] Registry of Births Deaths and Marriages Pioneer Index Victoria 1836-1888 "#B10372." [S4] Registry of Births Deaths and Marriages Great War Index Victoria 1914-1920 "#M8450." [S11] Newspaper - Argus 9 Oct 1915 p11. [S185] Property Titles. ; PROV (Public Records Office Victoria), C/T 6646-108 - Claud Alfred Harris of Upper Beaconsfield Contractor. [S7] Registry of NSW Births Deaths and Marriages "#D14436." [S18] Newspaper - Pakenham Gazette "3 Jun 1960, p10." [S1] Registry of Births Deaths and Marriages Pioneer Index Victoria 1836-1888 "#B3631." [S5] Registry of Births Deaths and Marriages Death Index Victoria 1921-1985 "#D19958 age 89." [S1] Registry of Births Deaths and Marriages Pioneer Index Victoria 1836-1888 "#B3632." [S11] Newspaper - Argus 17 August 1925 p1. [S5] Registry of Births Deaths and Marriages Death Index Victoria 1921-1985 "#D00107 age 97." 13 Dec 1944, MRS. G. F. TIVENDALE. THE DEATH at the Mercy Hospital on November 29, of Mrs. Ethel Georgeann Tivendale, wife of Mr. George Frederick Tivendale, of Officer, robs that district of one of its most respected citizens. Among other activities the late Mrs. Tivendale was a faithful member of the ACF, and that organisation will miss her greatly. Deceased, who was only 58, had been ill for some weeks before she passed away. Born at Canterbury, she was the daughter of the late Solomon and Rosetta Harris, of Beaconsfield Upper. Mr. Claud Harris, of Upper Beaconsfield, is a brother. Mrs. Tivendale endeared herself to all by her pleasant manner and friendly nature, and many friends join with her husband, three daughters and three sons in their grief at her death. Two of her boys are in the AIF, and the other in the RAAF. [S1] Registry of Births Deaths and Marriages Pioneer Index Victoria 1836-1888 "#B26657." [S3] Registry of Births Deaths and Marriages Edwardian Index Victoria 1902-1913 "#M4730." [S5] Registry of Births Deaths and Marriages Death Index Victoria 1921-1985 "#D12363/1944." [S11] Newspaper - Argus 1 Dec 1944 p2. 1-044-A Tivendale George Frederick M 87 26/01/1965. [S35] Probate Records, PROV (Public Records Office Victoria), VPRS 28/P7, unit 626; VPRS 7591/P4, unit 558. [S2] Registry of Births Deaths and Marriages Federation Index Victoria 1889-1901 "#B24413." [S4] Registry of Births Deaths and Marriages Great War Index Victoria 1914-1920 "#M10542." [S1] Registry of Births Deaths and Marriages Pioneer Index Victoria 1836-1888 "#B3801." [S185] Property Titles. ; PROV (Public Records Office Victoria), C/T 4737-378 - C/T 5570-981 - George Frederick Tivendale of Princes Highway Officer Storekeeper and William Edward Lowe of 13 Princes Avenue East Malvern Contractor - proprietors as tenants-in-common in equal shares. [S185] Property Titles. ; PROV (Public Records Office Victoria), C/T 6478-560 - George Frederick Tivendale of Officer Timber Contractor. [S185] Property Titles. ; PROV (Public Records Office Victoria), C/T 5570-981 - George Frederick Tivendale of Princes Highway Officer Storekeeper - C/T 8238-072. [S185] Property Titles. ; PROV (Public Records Office Victoria), C/T 8238-072 - subdivided into two parts - C/T 8263-139 + 140.